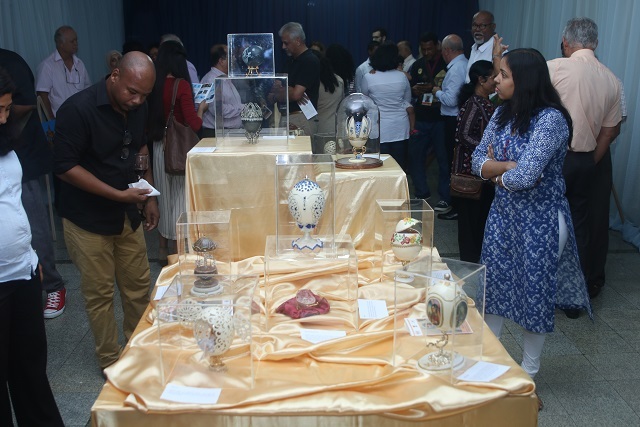 (Seychelles News Agency) - For the first time in Seychelles, an exhibition of egg art has given members of the public the chance to see different objects and decorations made from eggshells. The fascinating pieces of art are the work of Indian artist Farha Sayeed. Sayeed’s works are on display in an exposition opened Friday evening at the High Commission of India at Le Chantier – on the outskirts of the capital city of Victoria. 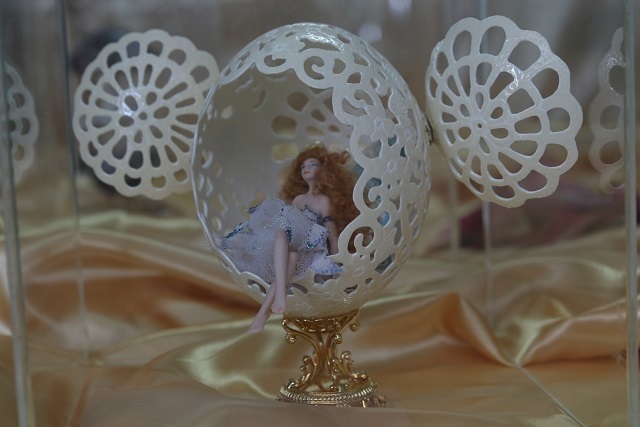 The artist said that the art of egg decoration goes back to early civilizations when eggs were coloured and used as gifts to celebrate the re-birth of life on the earth. Ostrich eggshell with engraved hatched patterns has been found as early as 60,000 years ago at Diepkloof Rock Shelter in South Africa. The exhibition – titled Eggstaordinaire - is a side event during this year’s Biennale of Contemporary Arts. Artworks on display include clocks, jewellery box, carriages as well as a set of teapot and cups. 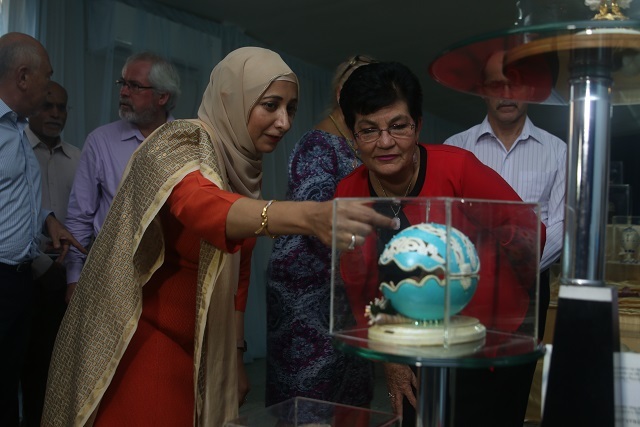 And since her arrival in the Seychelles – a group of islands in the western Indian Ocean – Sayeed has added the sooty tern eggs from Bird Island to her collection. Sayeed said that this kind of art requires patience, concentration, and imagination with an end product which is fascinating and unique. “The beauty of this work is that you will never find two pieces alike since it is handmade, as I could not recreate even the same piece,” she said. Visitors to the exhibition, which closes on Wednesday y afternoon, said that they were surprised at the objects created from eggs. 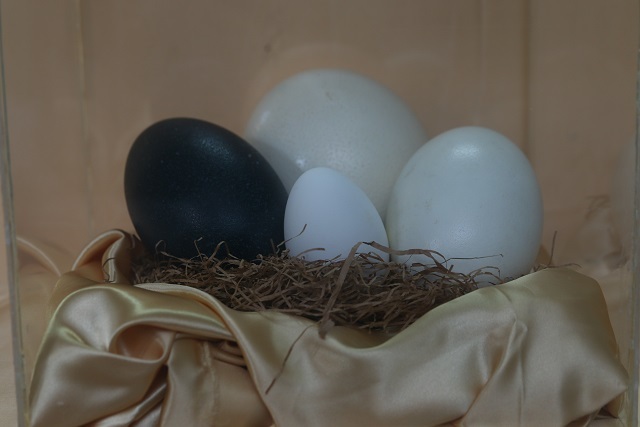 “I never thought that people could make so much and so different beautiful objects from a simple egg,” said Joe Laurence, a freelance photographer. 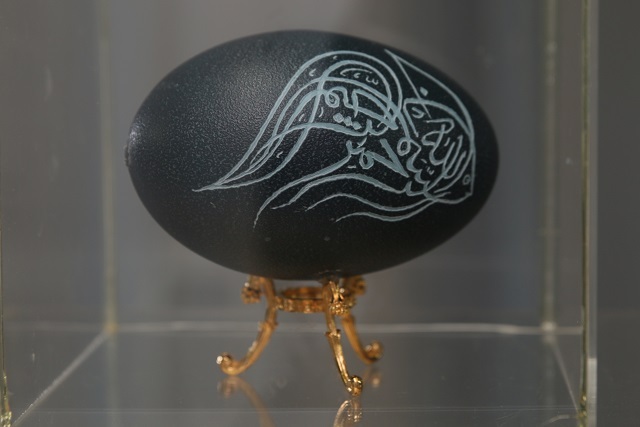 During the nearly 20 years that she has been doing egg decorations, Sayeed has had several exhibitions. EGGSPERIENCE" in Copenhagen, Denmark held in 2004, 'EGGCELLENCE' in Jeddah, Saudi Arabia in June 2008, ‘EGGXOTICA’ in New Delhi in India in April 2010, 'EGGSPRESSIONS' in Sana'a, Yemen June 2012). 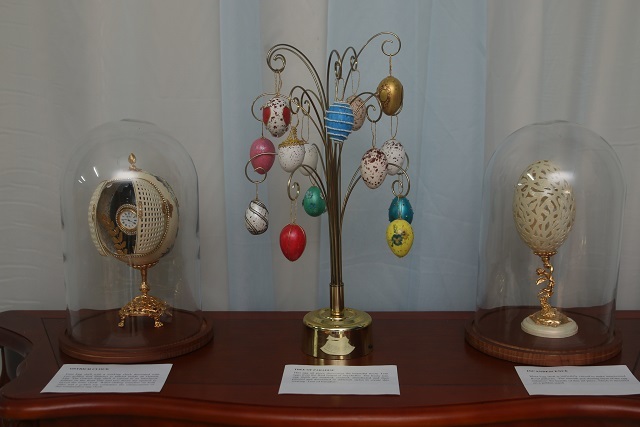 And prior to moving to Seychelles, "Easter Eggs-travaganza" which was held in Chicago, the United States of America in March 2016. 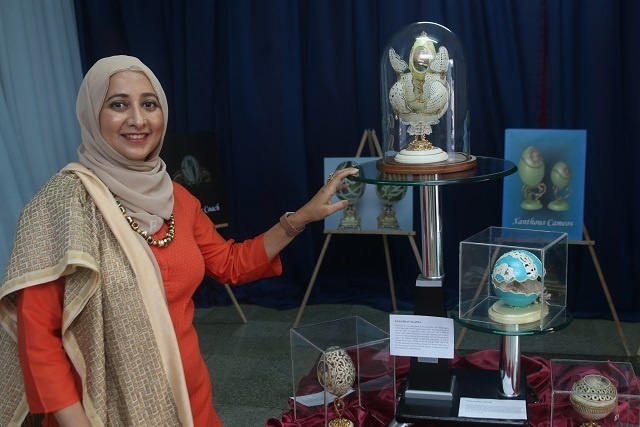 Sayeed who says she still has a lot to learn from the art form also gives lectures on egg art.